Ale aficionados, lager lovers and beer buffs will love this bespoke Christmas tankard. Our cheeky cartoon character adorns the front bundled up in his winter gear, and we engrave your message for the recipient right underneath. This stunning tankard holds a whole pint and so is a definite must at parties. The recipient will definitely cherish this gift long after the presents have been opened and the Christmas dinner eaten. Do you know a beer lover in need of a Christmas cuddle? 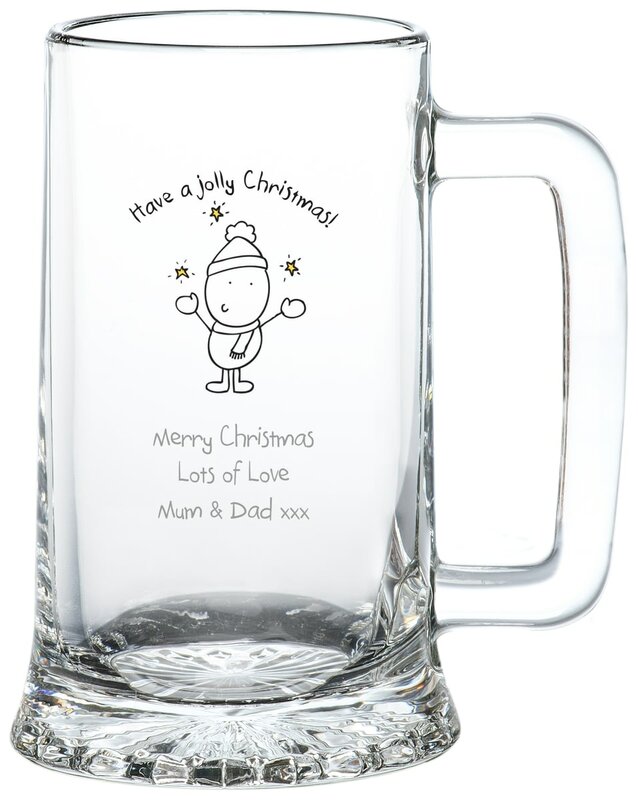 This glass adorned with our cheeky characters is the perfect gift for spreading Christmas cheer.